Sen. Charles Schumer is fuming. The incoming Senate minority leader urged the Food and Drug Administration on Sunday to use data the agency has collected on exploding e-cigarettes to look for patterns and possible recalls. Schumer cautioned that the erupting devices are a “huff, puff, explode” situation, and more research needs to be done about them. Schumer, citing data from the FDA, said there have been 92 incidents of e-cigarettes that have overheated, caught fire, or exploded between 2009 and 2015. A representative for the FDA did not immediately respond to a request for comment. Schumer said it’s also possible the problem stems from the batteries that are being used in the devices. There has been a spate of devices catching fire from their lithium-ion batteries, including Samsung smartphones and hoverboards. The batteries in the e-cigarettes, Schumer said, aren’t quite the same as those other devices. This month, he said, a 24-year-old off-duty Bronx EMT suffered second-degree burns on his thigh and right hand when his e-cigarette exploded in his pocket while he was driving. And in November, a man suffered third-degree burns when his e-cigarette exploded as he worked in a wine store at Grand Central Station. Earlier this year, a 14-year-old boy was severely injured when an e-cigarette exploded in his face at a vape shop at the Kings Plaza Mall in Mill Basin, he added. 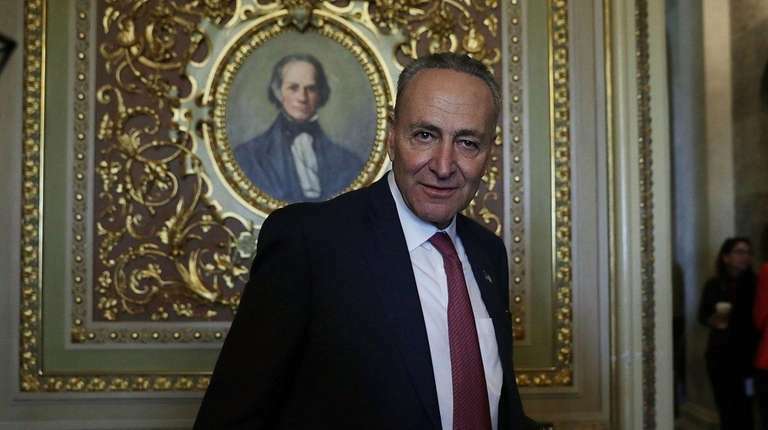 Correction: An earlier version of this story referred to Sen. Chuck Schumer as the incoming Senate majority leader. He is the incoming Senate minority leader.